I have ADHD, and I've been told a thousand times that exercise is hugely important in my management strategy, but no matter how many times I was told this by doctors, psychologists and other specialists, I never paid much heed. So many doctors give general recommendations as a matter of routine, I'm used to ignoring a lot of them. But knowing the exact reasons WHY it's so important, especially with the scientific explanations, has made me actually take it seriously. 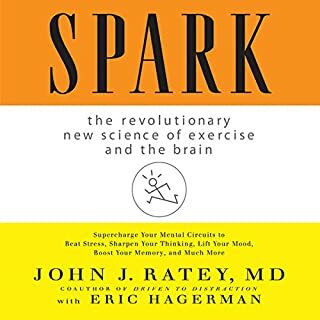 This book totally changed the way I view exercise, and it's become a non-negotiable priority for me. The only negative for me is that when delving into the actual science, explanations of biochemistry and stuff, it was hard to keep up with all the terminology at times - names of neurotransmitters, all their respective functions etc. This is inherent with the subject matter in the audio format though - the science can't be explained without using the correct terms, but when listening you can't slow down for the more complex parts. 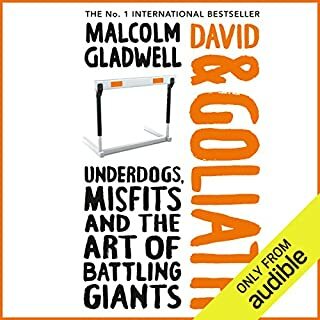 Some books I've given up going and bought the kindle version instead because they were way too dense for audio, but this one isn't that bad, and overall is quite engaging and easy enough to take in.